Q: How can I contact Dinner Delivered? Q: What are Dinner Delivered's delivery hours? Q: What areas are available for delivery? A: Dinner Delivered will deliver to all Hotels, Businesses, and Residents anywhere in the Cartersville, Adairsville, Sutallee, Rydal, Emerson, North Acworth, Braswell, Rockmart, Stilesboro, Taylorsville, and Euharlee Areas! Q: What is the minimum food order amount? 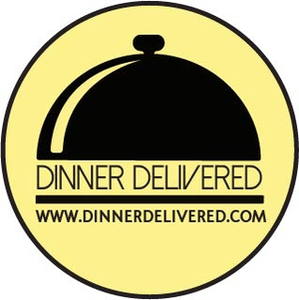 A: To place a delivery order online at DinnerDeliveredCartersville.com, you must spend at least $5.00 on menu food items before tax and the delivery fee. $4.99 if you are 0 - 8 miles from a desired restaurant. $8.99 if you are 8 - 12 miles from a desired restaurant. $14.99 if you are 12 - 18 miles from a desired restaurant. $24.99 if you are 18 or beyond miles from a desired restaurant. Q: Why doesn't Dinner Delivered service other Restaurants for delivery; why can I only order from your partnered restaurants? A: All of Dinner Delivered's partnered restaurants have agreed to expertly prepare all of their delivery orders and have a respect for their delivery customers' orders, willing to go that extra mile in all cases. With this partnership in place we can guarantee your orders receives the proper attention from the restaurant and ensures the quality of the order. If anything is ever wrong with your order this partnership also allows Dinner Delivered to contact the restaurant and speak directly with management to assure the fastest possible resolution to the problem. Each restaurant Dinner Delivered partners with pays Dinner Delivered a commission on every order we send to them. In some instances if the restaurant can't deduct the cost of the commission from each order, but still wants to partner to offer their customers delivery they agree to attach the commission to each order to cover the cost. Dinner Delivered has no control over how the restaurant chooses to handle pricing on their menu items. Q: Is gratuity for the driver included in my order? A: Gratuity is not included in your order. Please consider the efforts of your mobile waiter and treat them as you would treat a server inside a restaurant. Average gratuity is 15 - 20%. Q: How far in advance do I have to place my order for delivery? A: All orders are handled immediately after they are placed. Once you have placed a delivery online, or over the phone with a Dinner Delivered customer service representative, you can expect to see your delivery order in 45 - 70 minutes. Q: How do I place a delivery order? A: If you want delivery from one of Dalton's restaurants that is partnered with Dinner Delivered, log onto DinnerDeliveredCartersville.com, and select the Cartersville zip code you want your restaurant order delivered to. After selecting the zip code you want your delivery made to, choose from the available restaurant tabs on the left side of the home screen. Bold restaurant tabs indicate the restaurant is currently available for delivery. Transparent tabs indicate a specific restaurant is currently unavailable for delivery, due to the specific time you are logged onto the website. Each restaurant has specific times they are opened and closed. These times are located at the top right of each restaurant menu. After selecting which restaurant you want delivered, select the available menu food items from that restaurant to build a shopping cart, located at the top center of the home screen. When selecting menu food items, an option, labeled CUSTOMIZE ITEM, will appear beside each item in the shopping cart. By selecting this option you can increase the quantity of an item, add a customer's name to an item, or specify No Onions or Dressing on the Side for each item. Once you have finalized your shopping cart, click the checkout button, located at the top right corner of the home page. In the checkout screen, you can choose which form of payment you wish to pay with for your delivery order. You can pay with any debit or credit card online through Dinner Delivered's secure website. After choosing your payment option, you will finalize the online order by creating a customer account. Enter your name, your contact phone number, and the address you want the food order delivered to. Also, make sure to fill out the optional directions box with any pertinent details about your address or order, including the name of your office building, hotel, or apartment, along with the suite or apartment #, along with any other directions to better help your mobile waiter more quickly locate you. You may also want to leave a secondary phone number you can be reached at in case your primary phone number is inaccessible. You may also call 706-705-7226 to speak to customer service representative to place a delivery order over the phone. When a Dinner Delivered customer service representative processes your delivery order, it is the exact same process as you doing it yourself online. You may pay with a debit or credit card over the phone. Q: How do I know my delivery order has been placed? A: To insure your online order has been placed, you will receive an email to the email address your account has been saved under. The email will detail the order items and present you with an estimated delivery time. You should also receive a receipt email for your order delivered to the same email address. If you do not receive the correct emails or an estimated delivery time, call 706-705-7226, and a Dinner Delivered Customer service representative can find out if your delivery order has been placed. If you place your order over the phone with a Dinner Delivered customer service representative they will give you an estimated delivery time to confirm the order. A: All orders are handled immediately after being placed. Once you have placed a delivery online or over the phone with a Dinner Delivered customer service representative, you can expect to see your delivery order in 45 - 70 minutes. Based on the $4.99 delivery fee, you can expect a 45-65 minute eta. Based on the $8.99 delivery fee, you can expect a 60-75 minute eta. Based on the $14.99 delivery fee, you can expect a 60-90 minute eta. The extended delivery fees and and extended estimated delivery times are due to extenuating delivery ranges, driver distances, and routing complexities. Also, weekend and holiday estimated times of arrival may increase due the severity of prolonged cook-times and their according wait-times at restaurants. Q: How do I receive a receipt for my order? A: After you place a delivery order online or over the phone with a Dinner Delivered customer service representative, the log-in email for your account will be sent the receipt for your order. If you only call in orders, you can have a Dinner Delivered service representative post a desired email address on your account for receipts to be sent to. Also, if you want to change the email address for your receipts to be sent to, contact a Dinner Delivered customer service representative, and they will make the appropriate changes. Q: Can I place my order in advance, to be delivered later today, or for a date later in the future? A: You may certainty place an advanced order. To insure your order is delivered for lunch or dinner at the time you want it, select the restaurant tab you want delivery from, then, at the top of that restaurant's menu, select the For Delivery A.S.A.P. change Button. A Calendar prompt screen will then appear. Select the Calendar date you want the delivery to made on, as well as the exact time you want it delivered. Then place your delivery order, and it will be delivered at the desired date and time. Q: Can I order from multiple Restaurants? A: You may order from as many Dinner Delivered partnered delivery restaurants as you like. A delivery fee will be charged for each restaurant though. Also, ordering from multiple restaurants may take more than 45 minutes to have the different cuisines delivered to you, due to the fact that your mobile waiter will have to travel to multiple restaurants. Q: May I order a delivery order, but have it delivered to another person or another address? A: You may certainly have a delivery ordered for another person for any occasion, such as a surprise or any other event. If you place your order online, make sure to put the correct delivery address you want the delivery made to in the address column, and put any special directions or comments for the mobile waiter to know or for the desired recipient to know in the optional directions box. Or, if you call in the delivery order to a Dinner Delivered customer service representative, make sure to tell them the correct address you want the order delivered to, as well as special directions or comments for the mobile waiter to know, or for the desired recipient to know. Q: Can I purchase GIFT CARDS from Dinner Delivered? A: You may purchase gift cards online from the Dinner Delivered Gift Cards tab, located along the top of the website screen. Follow the directions on the tab to place the order for the gift cards- an extremely effortless process. Or, you can call 706-705-7226 and have a Dinner delivered customer service representative set up the gift card purchase for you. All Gift Cards Expire One Year after purchase date. Q: Why does it take 45 - 70 minutes to deliver my $22.00 food order? A: Once you have placed an order for delivery online or over the phone with a Dinner Delivered customer service representative, the order will be faxed and called-in to the restaurant of your choice. From there, your selected restaurant will give Dinner Delivered a projected cook time as to how long it will take to cook and prepare your order. A Dinner Delivered mobile waiter will then arrive at the restaurant at the correct projected time. They will then double check your order for quality and the right quantity of food items. They will then finalize the packaging of your order by placing your order into a temperature-controlled insulated bag. After the driver has left the partnered restaurant, they will find your delivery address on their navigation system and proceed to deliver your food order to you on the quickest route. This process generally takes 45 - 60 minutes, regardless if it's a $22.00 order or a $220.00 order. Q: Can I pay for my delivery order with a check or cash? A: Dinner Delivered does not accept checks or cash. You may only pay for your delivery order with a debit or credit card online at DinnerDelivered.com or over the phone with a Dinner Delivered customer service representative. Q: If Restaurants have full houses and 1-hour wait times for in-house customers, how long will it take to deliver my food order? A: On Friday, Saturday, and Sunday nights, some restaurants may have full houses and 1-hour wait times for in-house customers. Kitchen staffs can only prepare so many orders in a given time. Thus, on one of these occasions, it may take over 45 - 70 minutes to deliver a busy restaurant's delivery order, depending on that restaurant's projected full house cook time. Q: What if my delivery order is wrong or inedible? A: In the extreme case that restaurant you chose delivery from did not cook and prepare your order correctly, or the mobile waiter did not properly care for your delivery order, you may call 706-705-7226 to speak with a Dinner Delivered customer service representative and request the food order to be re-made and re-delivered, or you may request a refund for your delivery order. Dinner Delivered handles all customer concerns and customer requests concerning Dinner Delivered restaurant food deliveries. All of your requests will be properly analyzed by a Dinner Delivered manager, but there is no guarantee a refund will be credited without a proper investigation. Q: Can I cancel my delivery order? A: You may only cancel a delivery order if you have not yet placed the order, or if a restaurant has not yet received the order to cook and prepare. Essentially, if you place a delivery order you are expected to pay for the delivery order. Q: What type of Catering does Dinner Delivered offer? A: Dinner Delivered offers Catering Packages from several of its partnered restaurants, available for Lunch and Dinner that can be delivered to anywhere in Rome. These Catering Packages are specifically designed for pharmaceutical reps or business coordinators who don't have time to spend selecting entrees and appetizers for their clients. Dinner Delivered's partnered restaurants' catering packages aim to please a business meeting of ten people or more. Also, special accommodations can be made for any of Dinner Delivered's Catering packages for a smaller party of less than ten people. Call 706-705-7226 and request for a customer service representative to prepare a package for your specific amount of guests. Catering packages come with Drinks, Appetizers, Entrees, Desserts, and all the catering supplies you will need, such as cups, plates, utensils, napkins, serving spoons, and tongs. Check out Dinner Delivered's catering options, featuring Pizzeria, Deli, Italian, Mexican, Chinese, Japanese, BBQ, Baked Potato Bars, and an amazing Stir-Fry setup. Most Catering Packages need only an hour's notice before being prepared and delivered to your office or business. Advanced orders are also welcome and are given top priority. Your order will arrive on time. Our specially trained delivery staff will be courteous and accommodating. Orders will be delivered as specified, leaving you free to focus on other priorities. Q: How can I be considered for employment with Dinner Delivered?